Caserta is the capital of the province of the same name, it has nearly 75,000 inhabitants in 2013. It is best known for its important Royal Bourbon Palace of the 18th, often referred to the Versailles of Italy, which with the belvedere royal S. Leucio and the Carolino aqueduct, have been listed as UNESCO heritage since 1997. 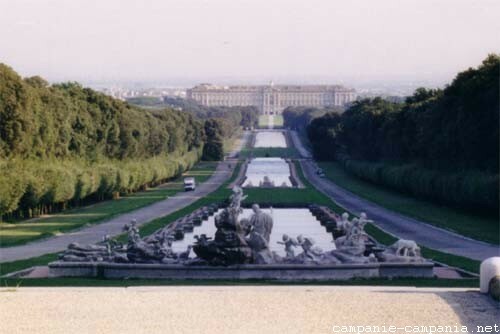 Until the sixteenth century the center of the city was located in Casertavecchia, on a mountain overlooking the plain of the present city of Caserta. This ancient center was gradually deserted.